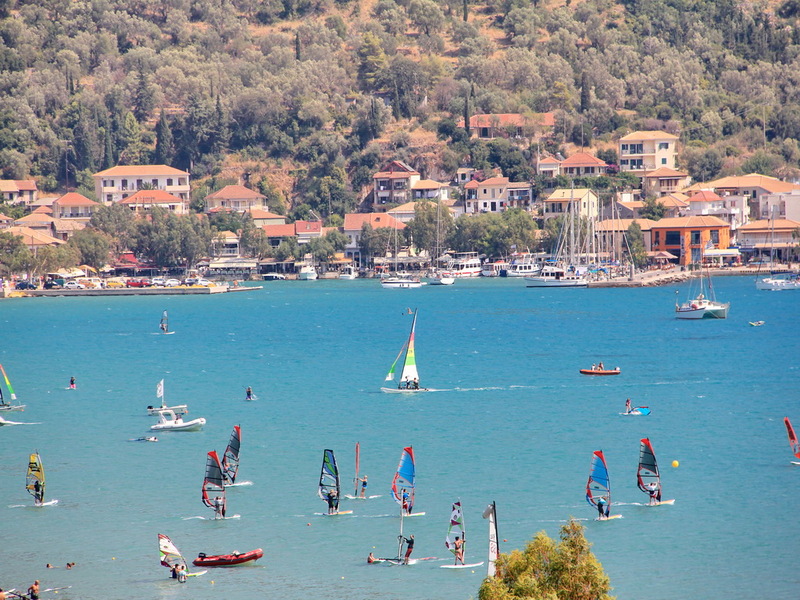 Lefkada is the paradise of windsurfing. The beach of Vassiliki is one of the 10 best beaches worldwide and the 3rd best in Europe together with the beach of Aghios Ioannis, covering almost all needs of windsurfing lovers. Ionian Sea, during the summer months is ?cooled? with the thermal winds (mistral). The winds together with the morphology of the area offer great statistics of wind and allow surfers to ?take off? with new tricks and manoeuvre. There is a wind surfing club,school, and shop in Vasiliki offering lessons and the equipment for all kinds of surfing or water sports. In Vasiliki ,you can find a SCUBA DIVING SCHOOL, offering specially designed courses according to the strict international safety standards of P.A.D.I and C.M.A.S. P.A.DI courses are offered at all levels. The inland of Lefkada is full of green colours with hills, higher mountains and picturesque villages, magical pathways? You could find several organised clubs all over the island, offering mountain bike experience. In the town of Lefkada, Nydri and Vassiliki, there are several bike rentals where you could find the necessary equipment for riding around the island. Outside the village of Vasiliki, there is an organised riding farm where the lovers of Natural Horse Riding, could take lessons and enjoy the mountain and sea. The mountainous area of Lefkada is full of canyons, ravines, rich vegetation, rare flowers and scenic pathways ideal for long walks and excursions in the nature. The pathways of Skaros Mountain with the beautiful forest of Velanidias,the Melissa Gorge in Sfakiotes, the canyon of Dimosari, the waterfalls of Nydri in a green and cool place and the forest of Dafnis in Sivros, will create a breathtaking excitement to those who will decide to explore Lefkada by taking a long walk. There is a guide available for those who wish to explore the island by taking walking rides. You can be your own captain, mark your own itinerary and discover the small islands of Scorpios, Madouri, Egremni,Sparti and the east coast of Lefkada island.The sea in this part of the island is not rough and the weather conditions are rarely windy. So get your family or friends and discover the "big blue". 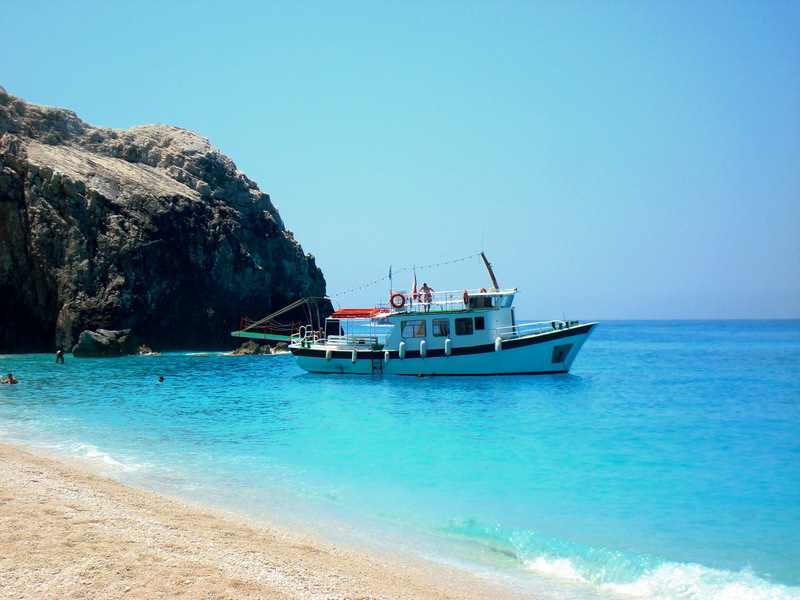 You can rent a motor boat for 4-5 persons in the ports of Nydri or Lygia for the day.